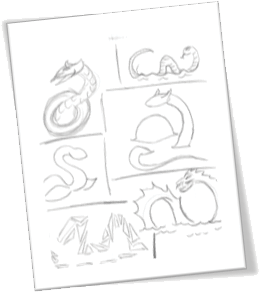 Produce and submit three rough ideas for the critique discussion. Add a flap to the black board. 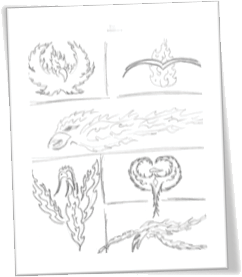 You must have at least three drafts included with your final project. 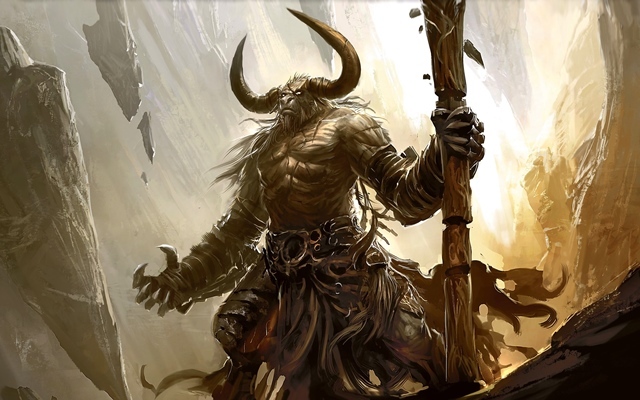 The Cyclops and centaur seemed too human and not enough animal, so they were removed from further investigation. 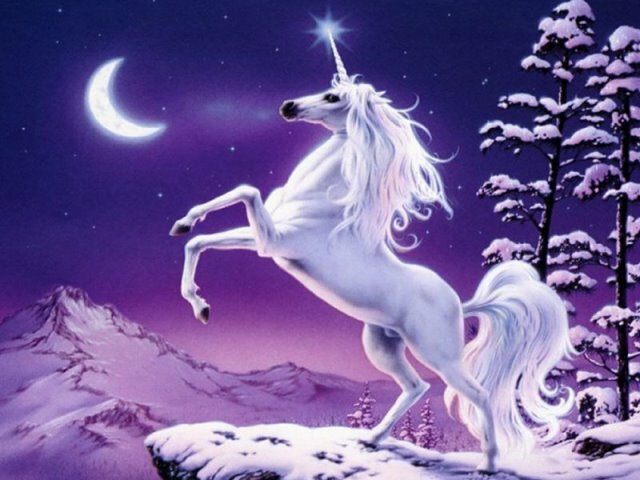 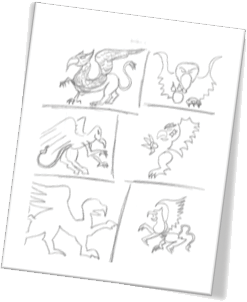 I then found classic images of the remaining selections that depicted typical characteristics of each creature. 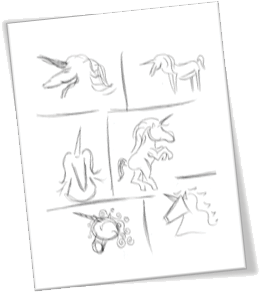 Each thumbnail sketch needed to be comprised of the most recognizable characteristics of each animal; so, I listed each feature that would allow the creature in question to be instantly identifiable. 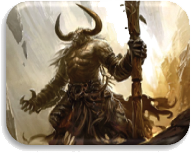 Once again, I decided to eliminate the creature that seemed a little too human-like: the Minotaur. 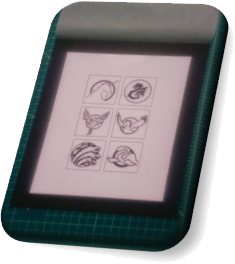 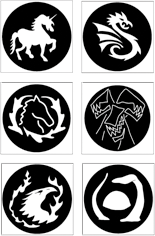 I still had more than the 6 required animals but I wanted to sketch each of the remaining 7 creatures to get an idea of which 6 would lend themselves best to my final icon sets. 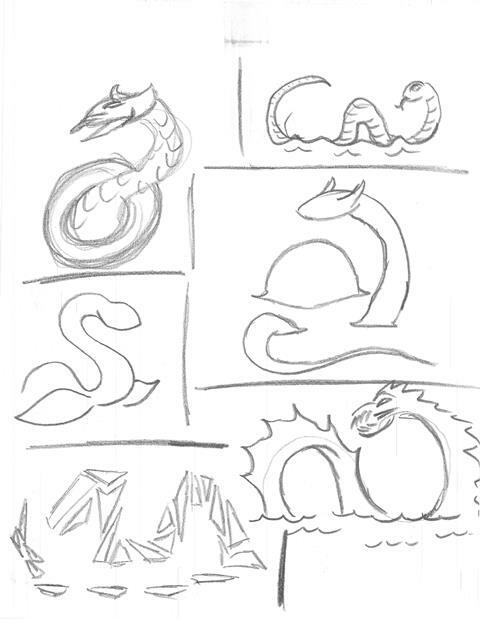 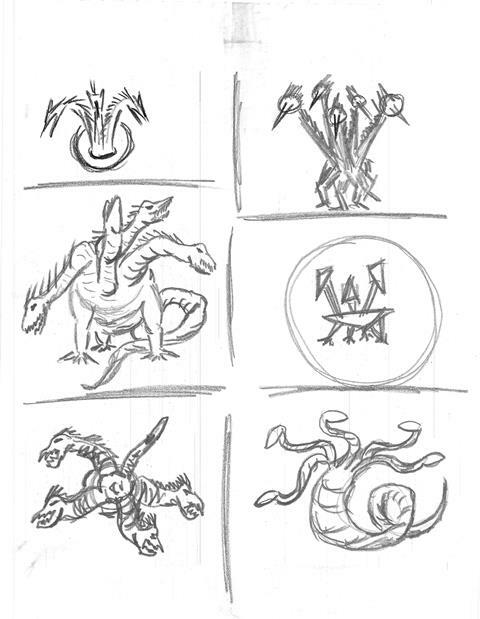 Next, I sketched each creature with the intent of simplifying the designs into logo-like compositions. 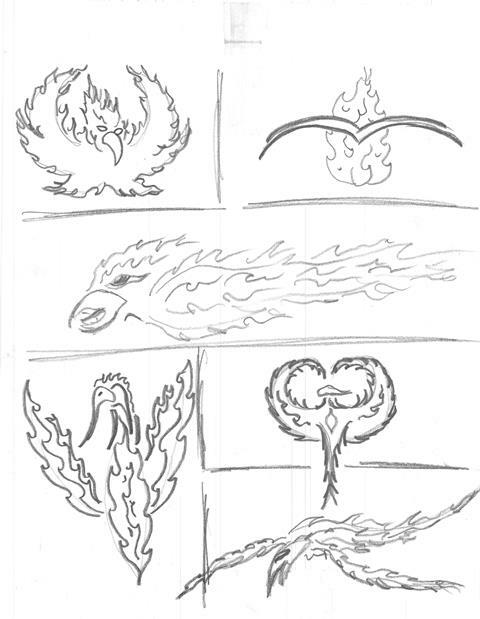 Some symbols resembled the earlier sketches and some were new variations. 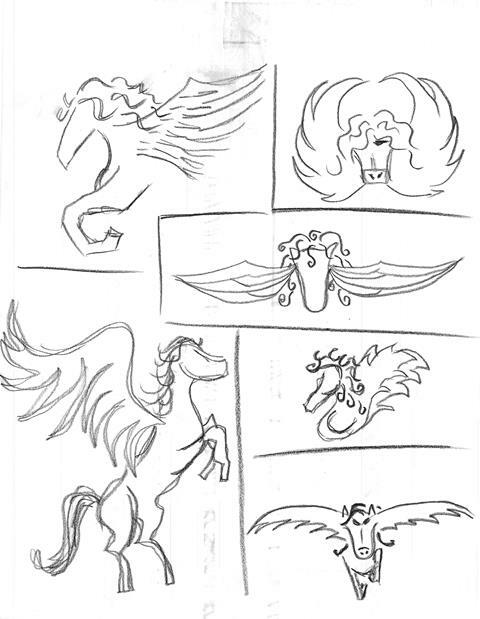 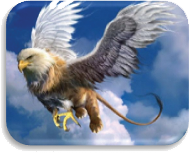 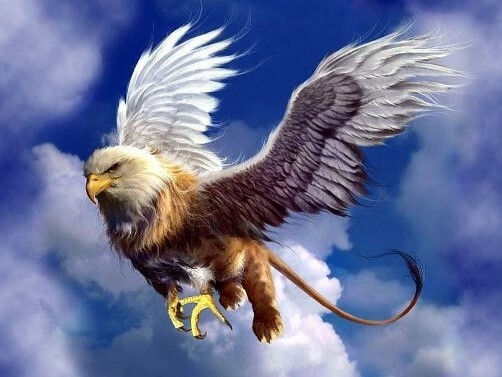 Before creating digital rough drafts, I dropped one last subject: the griffin. 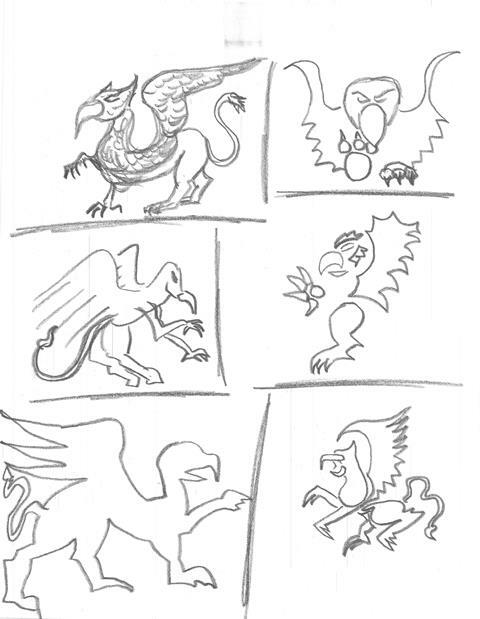 Then I took each of my remaining creatures and picked two or three to digitize. 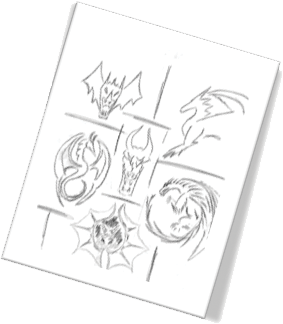 On my last set, I chose to depict both a dark version and a light version. 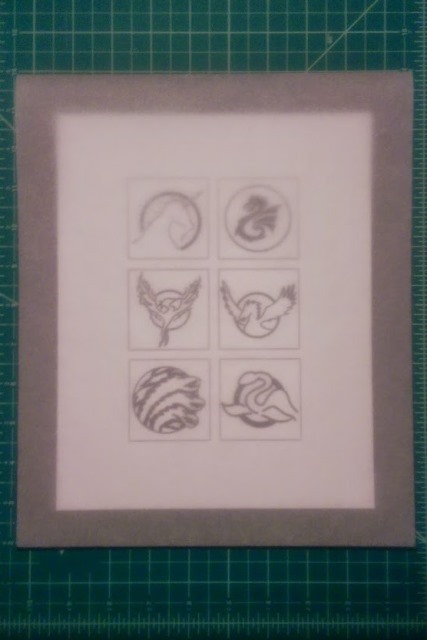 Since the final would be complied in two inch squares, I designed the template and utilized it for each draft by adding one version of each animal to each grid. 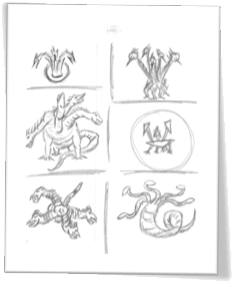 As the final piece was to be comprised of one version of each creature, not only would the best design of each be chosen but each icon would need to contribute to the overall gestalt of the composition. 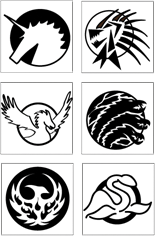 To that end I started by choosing my favorite symbols and arranged them accordingly. 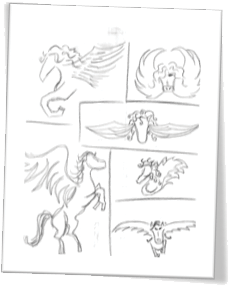 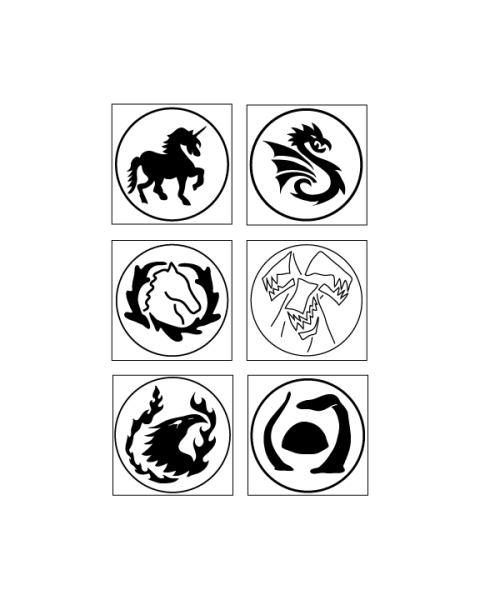 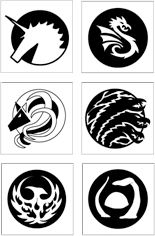 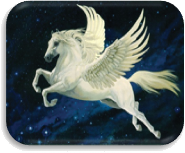 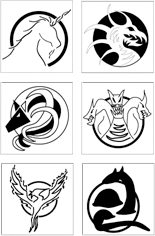 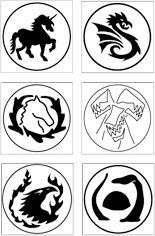 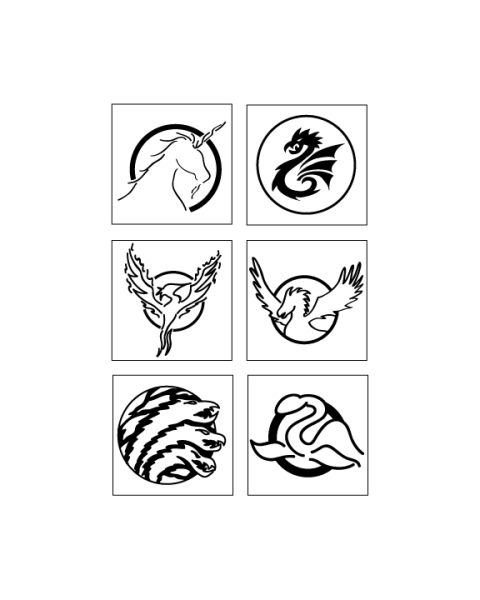 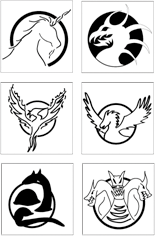 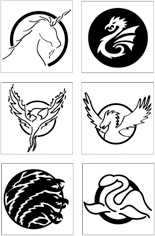 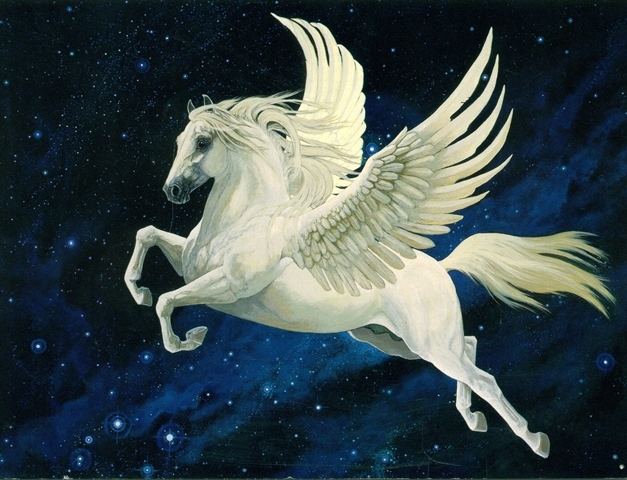 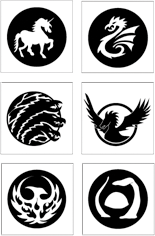 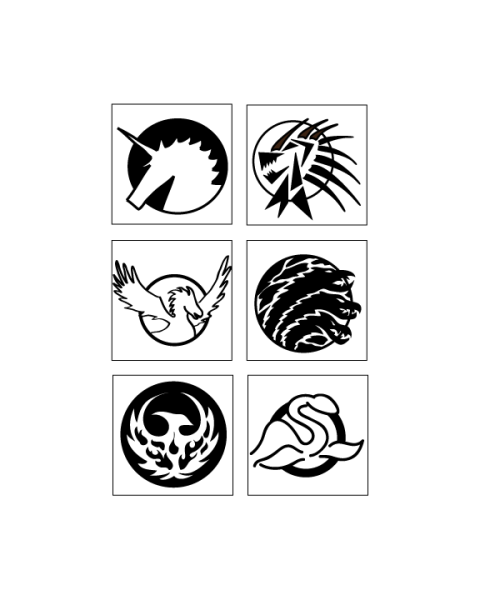 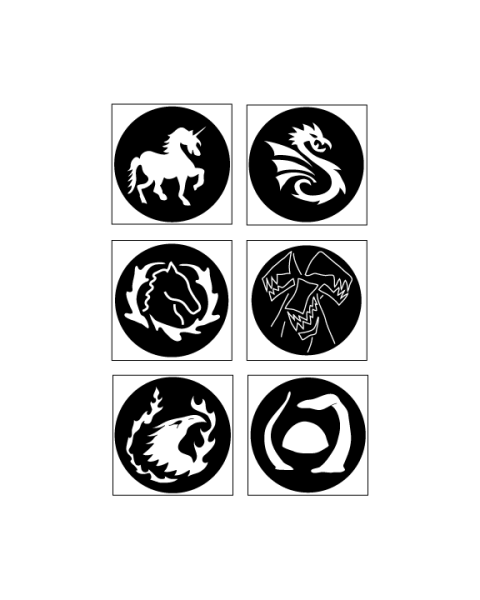 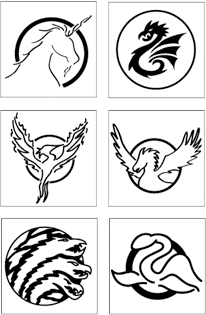 In the first set, the symbol was not obvious enough to represent the Pegasus and in the second set the mix between dark and light icons was unbalanced. 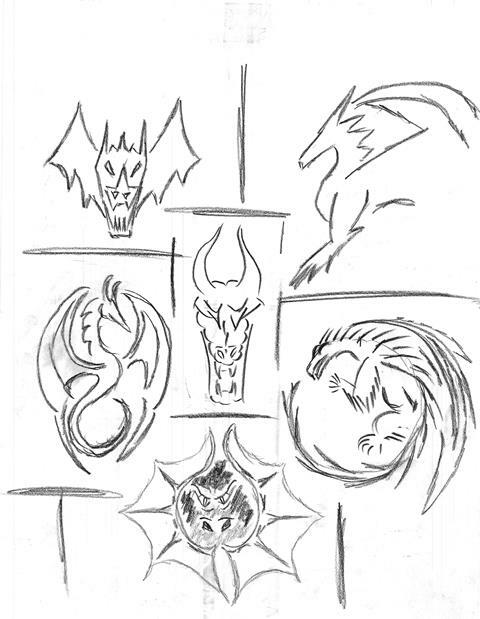 The third set attempted to utilize all dark, bold symbols but lacked variety and the fourth set included images that didn’t live up to the professionalism of their counterparts. 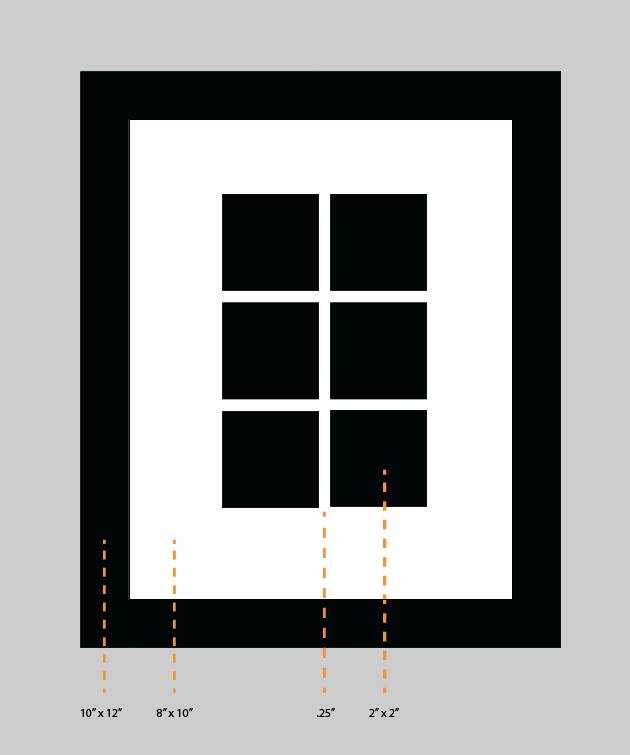 Finally, I settled on lighter icons that would complement each other in the completed project. 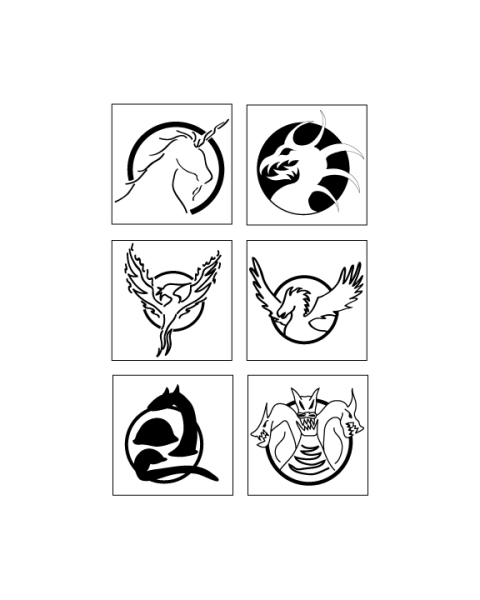 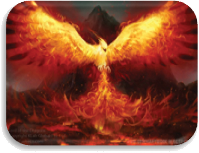 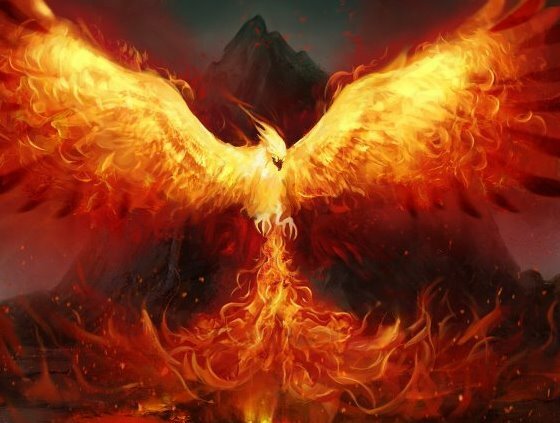 By rearranging the phoenix and hydra’s positions, a unity was developed between the center images within the grid. 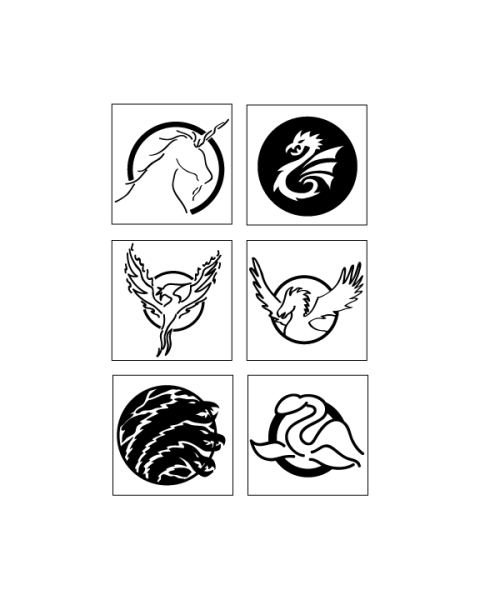 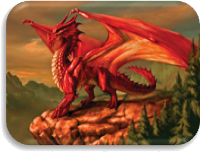 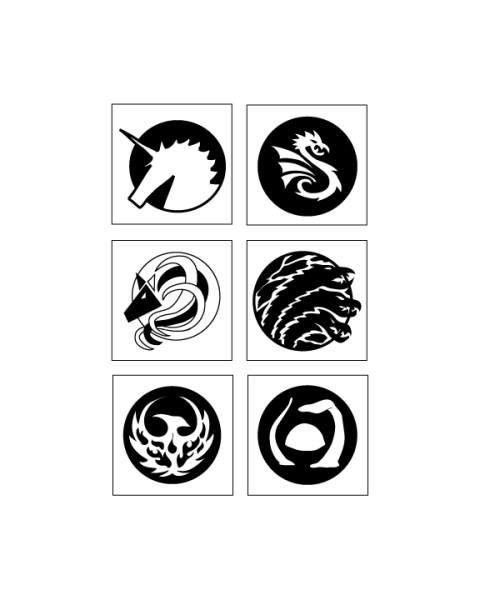 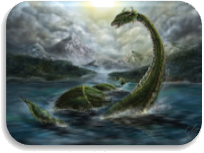 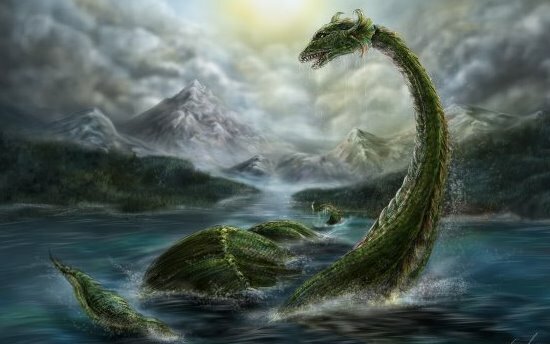 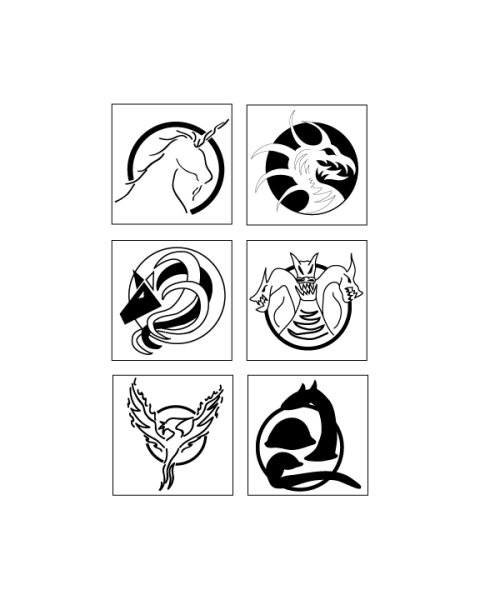 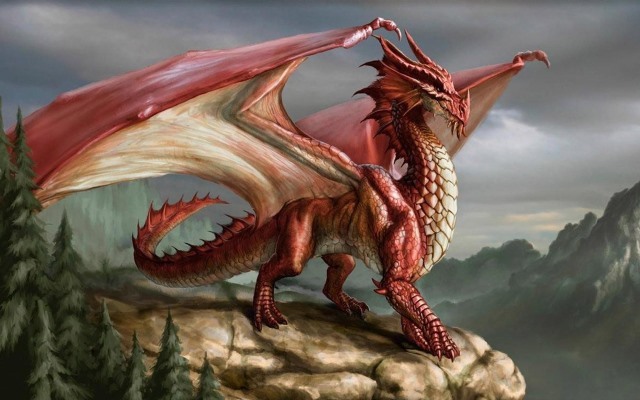 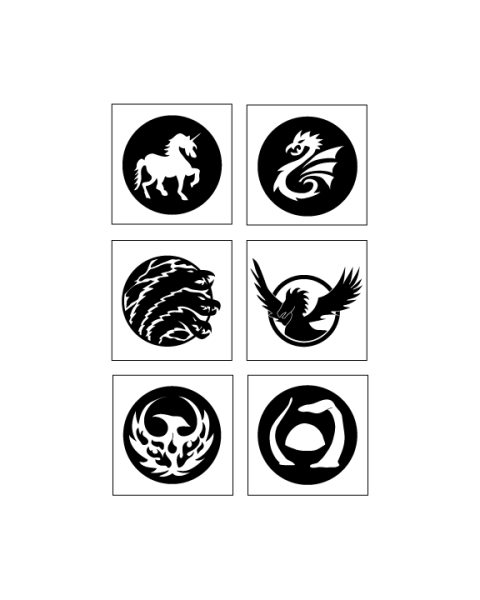 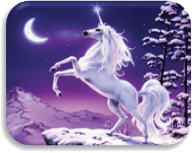 Similarly, by reflecting the dragon, Pegasus, hydra and Loch Ness icons, harmony was created and the composition created movement between each animal. 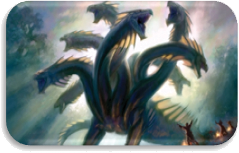 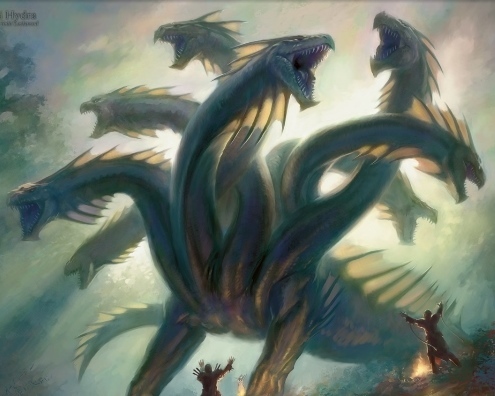 Lastly, the hydra was lightened from its original dark icon. 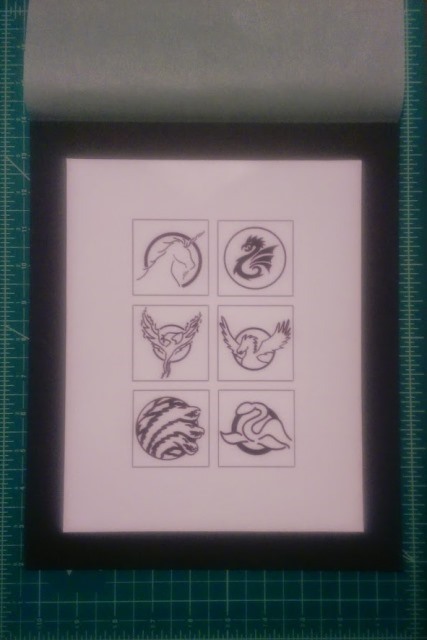 To complete my project, I printed my final composition on 8.5”x11” glossy premium inkjet photo paper and then trimmed it down to 8”x10” with an X-acto knife. 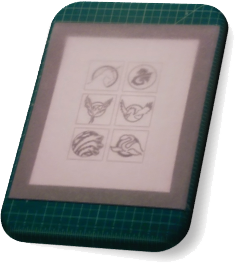 I cut a 10”x12” piece of black presentation board with a utility knife and fastened the photo paper to the presentation board with rubber cement. 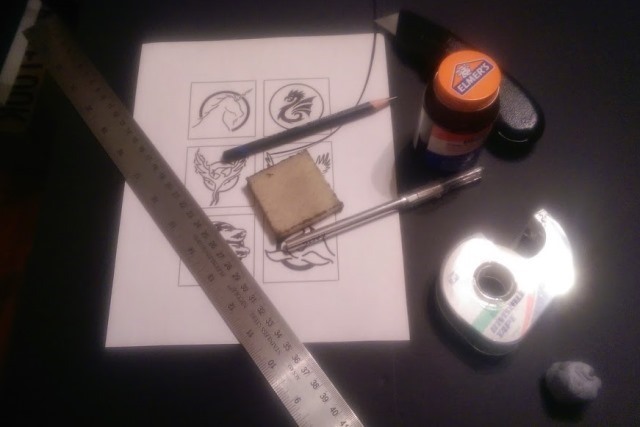 Once dry, I cleaned the edges of the piece with a rubber cement eraser. 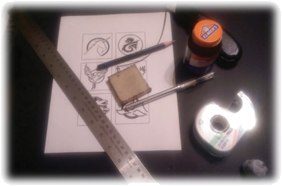 A flap of tracing paper was attached behind the board with a half-inch, tapered overlap along the top edge of the project to protect and display the final work. 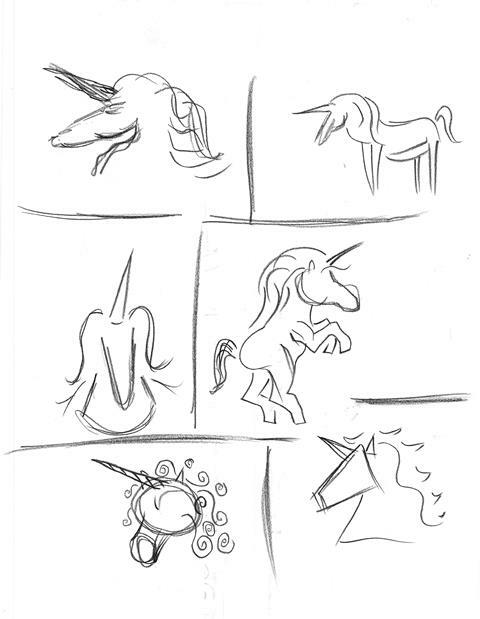 You are truly a talented artist.